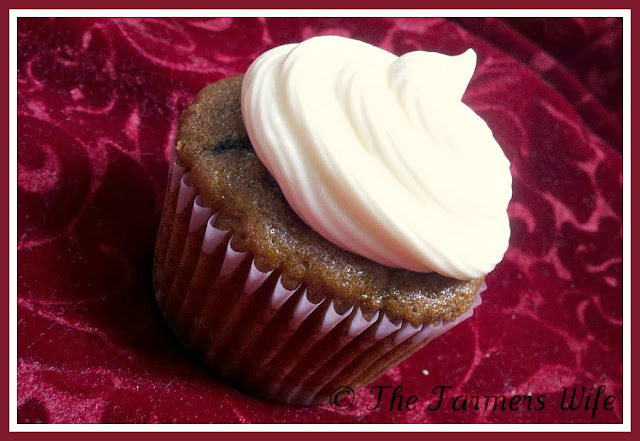 The Farmers Wife: Carrot Cake Cupcakes ~ and Anniversary Post! Carrot Cake Cupcakes ~ and Anniversary Post! Our Wedding Day 5 years ago! This last week has gone by SO fast, I can hardly believe it's already Friday... But you know what else has gone by fast? The last 5 years! 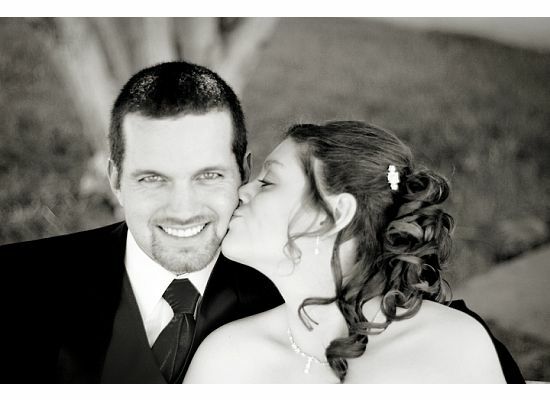 5 years ago today I married my best friend, the man of my dreams, and my soul mate, Jeremy! It's hard to believe it's been half a decade since we said "I do" sometimes it seems like it was just yesterday and other times it's hard to remember a time when we weren't! For those of you who may not know, Jeremy and I didn't exactly have the most conventional dating relationship... lol! We met online via a mutual friend, I know, I know... He's lucky I wasn't some lunatic ;-). We spent so many hours on the phone, video chatting and eventually meeting in person. Somewhere in all of that we fell madly in love. And as unusual as our relationship may have started out, when he got down on one knee and asked me to be his wife I responded in the way all women do... "Is this for real?!?!?" Ok... so maybe not EVERYONE reacts like that, but I was floored, happy, but he really surprised me. (I said yes by the way!) After what seemed like an eternity we finally said our vows to each other in a very intimate and personal ceremony with our closest friends and family there. As crazy as it sounds I can still close my eyes and remember every detail of that day. The look on his face when he first saw me in my dress, when our pastor goofed up our vows causing Jeremy to stumble and everyone cracking up laughing, my cheeks shaking from smiling so much but I just couldn't stop, and most of all I remember walking down the aisle to this wonderful man. I couldn't tell you if the congregation stood up as I walked past them on my Father's arm, or if every candle was lit like I wanted, all I saw was my future standing before me. It was like a dream... a dream come true! Now you may be asking what all this has to do with a post about Carrot Cake... Well... My wonderful Hubby isn't a huge cake fan, however he LOVES carrot cake. So on our wedding day I surprised him with a Carrot Cake Grooms Cake. I couldn't honestly tell you if he remembers that detail or not but I'll never forget it. He freaked out at first thinking it was a mistake (which cracked me up!) and then was really surprised when I said it was for him. So for our 5th anniversary I thought it would be fun to surprise him again with his favorite cake, this time in cupcake form. I really hope he enjoys them, and they will also be gracing our Thanksgiving Dessert table this year! Combine flour, baking soda, salt, cinnamon and nutmeg in a large bowl and whisk together; set aside. In your mixing bowl combine sugar, oil, vanilla and eggs. Beat well, then slowly add in the flour mixture and mix well. Add in the carrots, pineapple, raisins and pecans. Pour into a greased and floured pan, or using an ice cream scoop, scoop into lined muffin tins. Preheat the oven to 350F degrees. For a 13x9 pan bake for 50-60 minutes, for cupcakes bake for about 20 minutes rotating halfway through. Cake is done with toothpick inserted in the middle comes out clean. Let cool before frosting. Combine the cream cheese, margarine, sugar and vanilla in your mixer, beat until smooth. For cupcakes you can then spread or pipe onto the cake and then sprinkle with more nuts. For a cake you can spread the frosting on smooth and sprinkle the cake with the nuts or you can add the nuts to the frosting before spreading. These are just beyond delicious! I doubled the recipe this year since I am making them for Thanksgiving too (which we're celebrating this Sunday) and they smelled fantastic baking and totally hit the spot for breakfast... haha! The bonus is un-frosted this cake is completely dairy free! So if you're looking for an easy Dairy free dessert this year I promise this will wow! 5 stars. Happy anniversary! Nice of you to share the wonderful memories of how you to became a couple. I am sure your hubby will adore the cupcakes, not only for their taste but for the special memory of your wedding day. I wish you many more years of wedded bliss. Happy anniversary! Love the story...and great-looking cupcakes!! I can totally relate! My Hubs is a huge carrot cake fan too, and the first words out of my mouth when he proposed were "are you serious?" Ha! Congrats on your anniversary and cheers to many more years of happiness for the two of you! Congratulations on your anniversary - what a wonderful, romantic post featuring your wedding cake! It's amazing - we have the same anniv date: 20 years ago today I met my husband. What's weird, is that we celebrate this day somehow as it's the only date we remember as our wedding anniv always passes us by and we forget. Cheers to many more romantic, happy years together and plenty more carrot cakes and cupcakes ahead. Happy Anniversary! I love your wedding picture, so sweet. My son and daughter-in-law got married last month, Oct 22nd. They had a carrot cake with hazelnut filling wedding cake, because my son doesn't like cake much either. The cake was so good!! The bride likes chocolate, so they compromised! Awww what a cute photo of you two..Happy Anniversary and wishing you many many many more!!!!! Now those carrot cupcakes and fantastic way to celebrate!!! Thanks so much everyone for the anniversary wishes! We had a wonderful relaxing night just the 2 of us! Love this post. Happy belated anniversary!